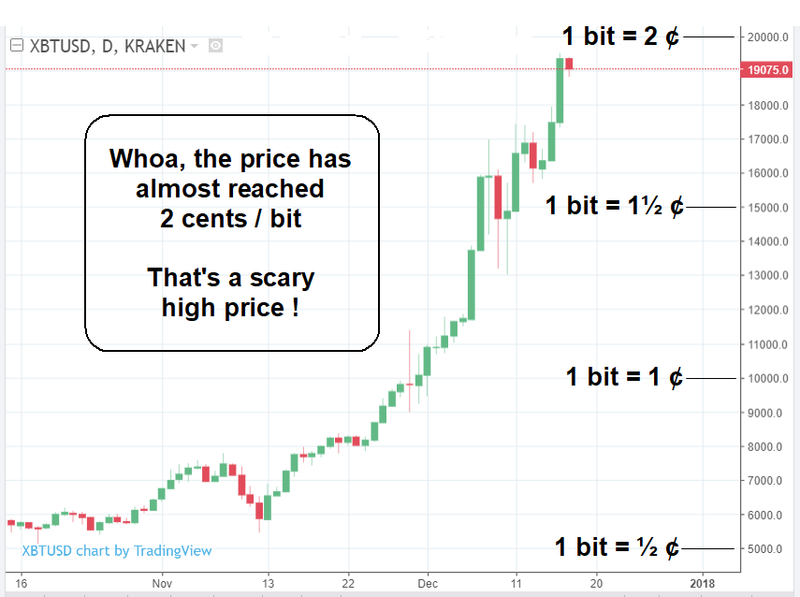 Trading Bitcoin, when do you get out? Well here we are now. The pin bar on the volume spike could be viewed as a “Blowoff” but it is smaller than the cluster at similar prices on the up-side. The rapid retreat of the pin, seems to indicate either high demand or a lack of supply at the lowest part. On the other hand the last down bar is quite large but the volume is small, which seems to imply few buyers - Maybe it does, maybe not - It was very close to Xmas and perhaps the “casual punters” were out doing other things ? However, When I started this thread, it had still not got to the price it is now. 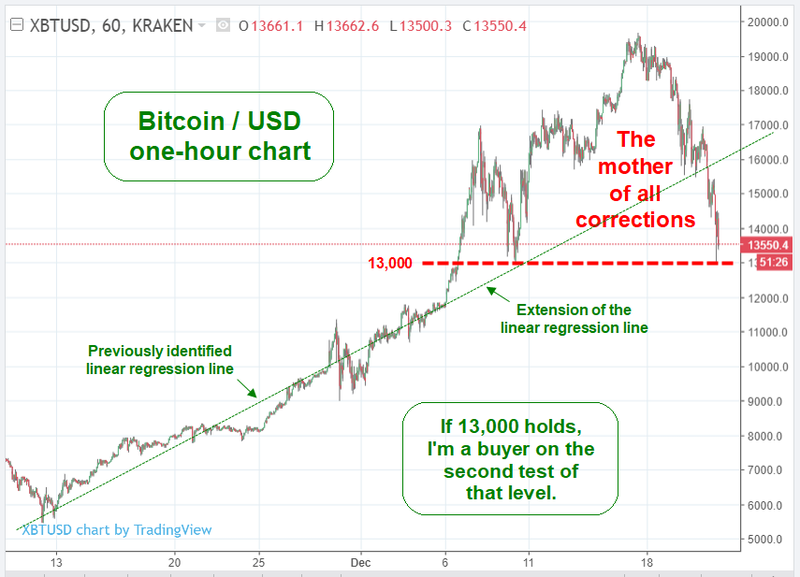 I feel sad for all those trapped “Longs”, desperately hoping for a recovery. Some of those trapped “longs” call themselves HODLers. I bought at 13k and now it’s almost 8k. not too much but I thought I was tricked by bitcoin sharks. you were ! - But, it’s not THEIR fault. Here is the best chart I have ever seen to simplistically show the mechanics of a “Boom / bust” cycle. 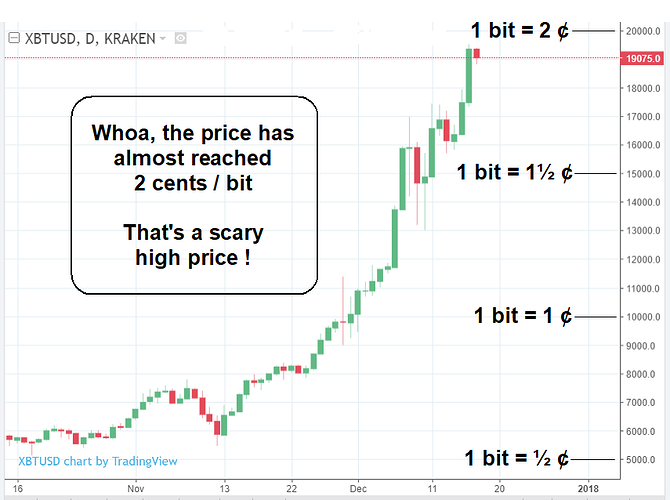 The credit for the originator is given on the pictuure and I go it from an article regarding S&P on Zero-Hedge. 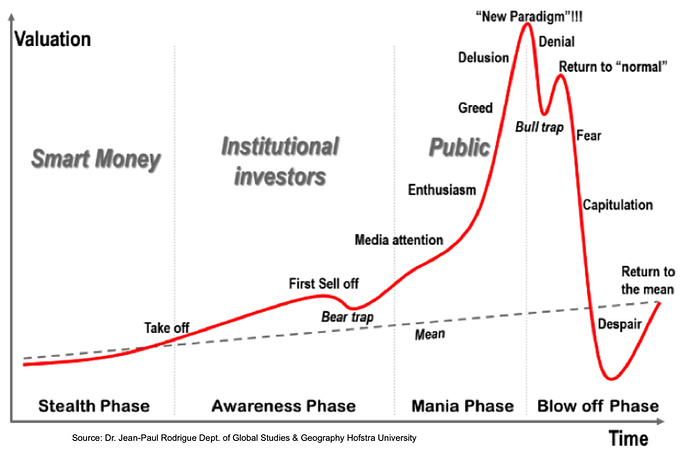 Please don’t hate “them” for taking your money, “It’s what they do !” (ANd “they” will only laugh at you anyway ) - No instead, save this chart and take it away. It could just be the single most important lesson there is to learn out there.